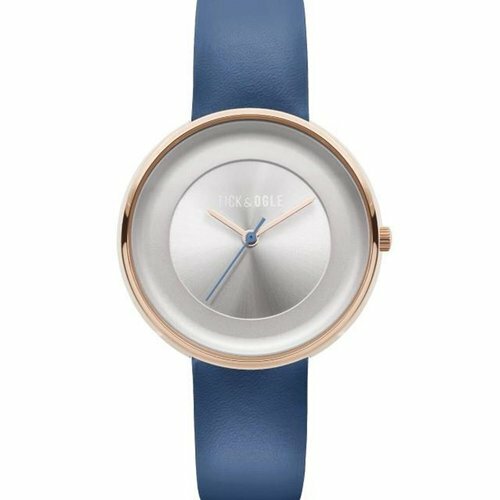 The distinct concave face of this Ladies Watch Rose Delight Leather Silver Indigo has a shape inspired from a drop of water into the sea and the fluid shape it expresses. 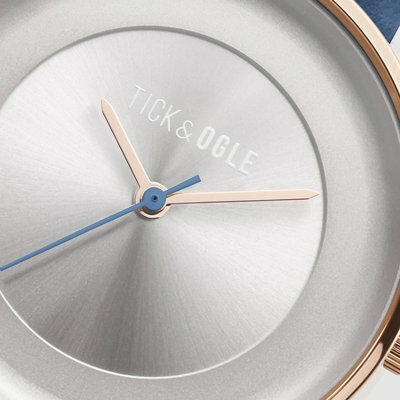 Simple and understated, inspired by Scandinavian simplicity and it's unique surroundings, this watch is the ideal statement piece and can be worn on every occasion. 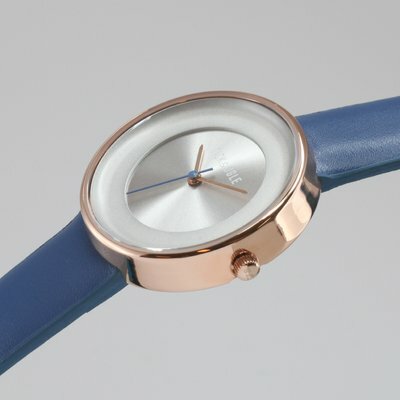 The reduced elements are to highlight the bare essentials of a watch and the beauty in simplicity.